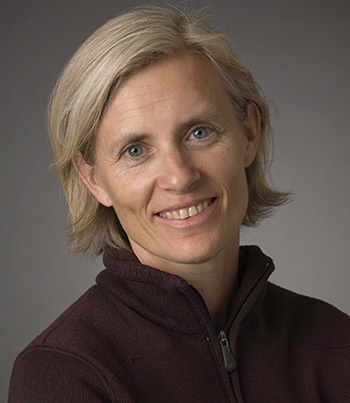 Camilla Forsberg, professor of biomolecular engineering and co-director of the Institute for the Biology of Stem Cells at UC Santa Cruz, has received the Presidential Early Career Award for Scientists and Engineers, the highest honor bestowed by the U.S. government on science and engineering professionals in the early stages of their research careers. Forsberg's research interests encompass stem cells, blood cell development, genomics, and more. Her laboratory studies hematopoietic stem cells, which are responsible for generating a life-long supply of mature blood cells. These stem cells give rise to all of the different types of mature blood cells, and Forsberg is working to understand how this process is regulated in order to prevent and treat both genetic and acquired disorders of the hematopoietic system, including anemia, autoimmune disease, leukemias, and lymphomas. Nominations for the PECASE awards are made by government agencies and departments to recognize scientists and engineers whose early accomplishments show the greatest promise for assuring the country's preeminence in science and engineering and contributing to the awarding agencies' missions. This year, 105 scientists and engineers earned the awards, including 14 UC researchers. The winners will receive their awards at a Washington, D.C., ceremony this spring. The awards, established by President Clinton in 1996, are coordinated by the Office of Science and Technology Policy within the Executive Office of the President. Awardees are selected for their pursuit of innovative research at the frontiers of science and technology and their commitment to community service as demonstrated through scientific leadership, public education, or community outreach.